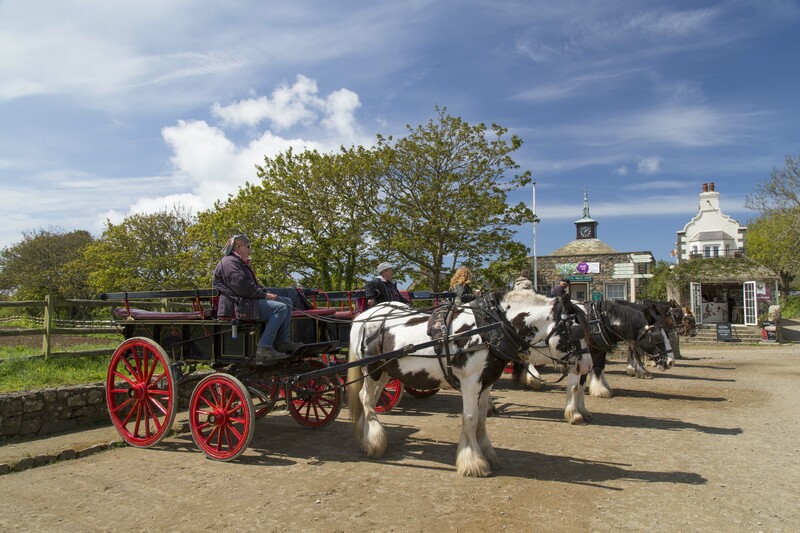 Take a leisurely tour around Sark on a horse drawn carriage. Sit back and listen to the driver tell you about the island’s history and the way we live. Looking above the banks and verges you get a great view. Carriages vary in sizes but the largest carries 10 people and unless you wish to book a private carriage ride, you can generally choose a 1 hour or 2 hour tour. It is better to book your carriage in advance, particularly during the busy Summer months. Otherwise, the carriages tend to be waiting for customers when the ferries arrive in the morning and it would be better to arrange a ride directly with the drivers as soon as you get off the tractor bus following your arrival. The waiting area for the carriages lies at the top of Harbour Hill, just a very short walk up from the Bel Air Inn and where the tractor bus drops you off.